I have a Problem with other Pilots showing in the sim. Some are not in the AI List, but on the Live Map they fly near my aircraft. I can see the drones perfectly, no Problem there. But for example at L88 other pilots never show in the sim. I hear their Radio Calls, but i cannot see them. Does someone have an idea why its not working? I am actually having the same issue and it is quite frustrating - especially at busy airports like KSNA (since there is a lot of traffic there doing ratings) and during events like the one yesterday. The vast majority of traffic I was unable to visually see (but faked it out using the PilotEdge map which is definitely not ideal). Not sure how to fix it. 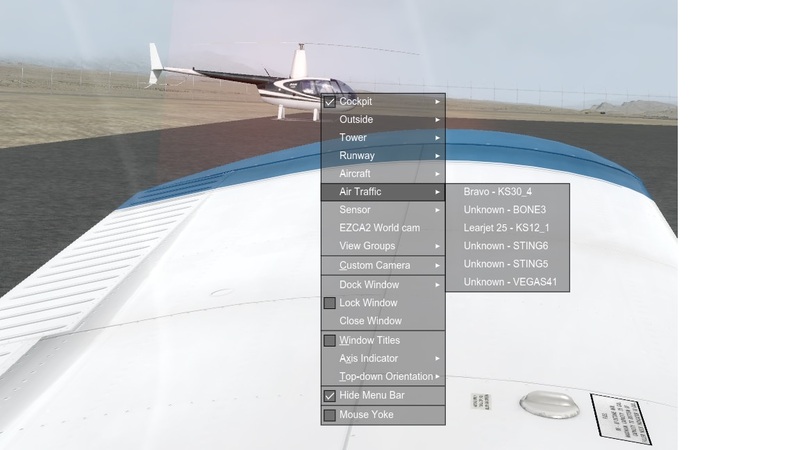 I am using P3D v4.1, have Pilotedge stock, Orbx NA GA, VIP, and SB model sets currently enabled (disabled SB model set to solve CTD issues but re-enabled it to see if I can see any aircraft). One thought is to check your P3D4 programdata>P3D4 folder simobject.cfg file and just make sure you don't have any duplicates with [Entry.0]. I once had it happen, and my P3D4 suddenly couldn't see the Default Airplanes, which are [Entry.0] - the GA AI lives there in SimObjects\Airplanes. If you find duplicate paths with Entry.0, assign the offender to the next available high number.